Georgian style toddy ladle with turned wooden handle, made to mark the Golden Jubilees of Victoria and Elizabeth II. 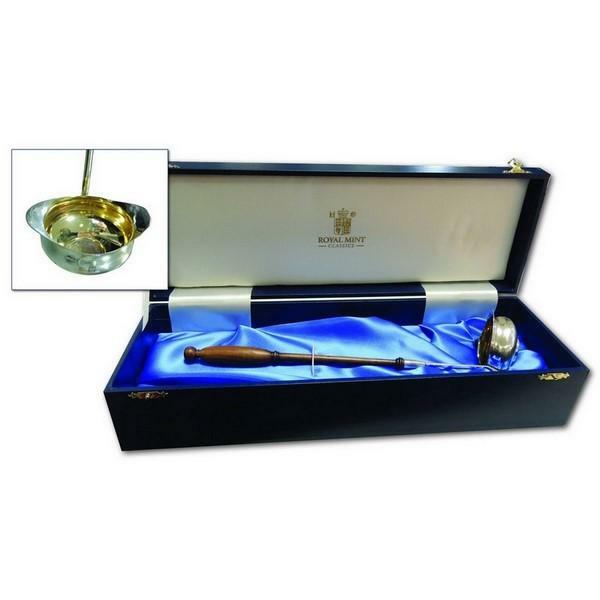 Featuring a 2002 Jubilee hallmark and an 1887 silver shilling set into the gilded bowl. Produced by Silversmith Paul Barrowclift in Birmingham for The Royal Mint. Limited edition of 500. Boxed. Length: 29cm.